We are now less than a month out from the 2017 Cheltenham Festival, and the build up to the biggest four days in the sport continues to increase. That was certainly the case this past weekend as we saw some real star names strut their stuff across the UK and Ireland and all of the market movers are featured. The feature card in the UK was at Ascot on Saturday, but there was plenty of racing to take in as we grabbed one of the last chances to make some Festival notes. The racing was top class over the weekend but there was no doubting who was the star of the show as the legendary Cue Card once again proved himself one of the best in the business. Looking to bounce back from his slightly below par effort in the King George, the 11YO started odds-on for the Ascot Chase on Saturday and he didn't disappointed. It certainly wasn't a great field up against the Colin Tizzard trained chaser but it was hard not to be impressed by the way he did this. Paddy Brennan threw the horse at his fences in breathtaking fashion and it was some sight as he claimed the Ascot Chase for a second time. It was fantastic to see the horse retaining every inch of his enthusiasm, and in the end he came home in splendid isolation to claim yet another Grade 1 success. This was nothing special in terms of form but he did look impressive and all roads once again lead to the Cheltenham Gold Cup for one of the most popular horses in training. It is going to be a big ask for an 11YO to win a Gold Cup but Cue Card is very special indeed, and Coral cut him into 11/2, from 7/1, for Cheltenham glory. Elsewhere at Ascot on Saturday, there was plenty to take in with Cheltenham in mind, including Bigbadjohn who got up in a thriller to win the Reynoldstown. The Rebecca Curtis trained chaser got up in the shadow of the post to give Jonathan Moore a big race win and he was cut into 16/1, from 20s, by Bet Victor for the four miler next month. The Neptune race on the Ascot card was an equally exciting race with the front three fighting out a stunning finish, and in the end it was Beyond Conceit who came out on top in game fashion. The Seven Barrows trained hurdler is clearly a nice animal, and although this wasn't a top level race, he could still be an each way play at Cheltenham. Nicky Henderson suggested the Supreme would be his target and as such he is now 16/1, from 25s, for the festival opener with Paddy Power. There was success for Paul Nicholkls up at Haydock as two of his stable stalwarts got themselves in the winners' enclosure. Zarkandar travelled really well before pulling clear of the field to win the Rendlesham Hurdle another crack at the Stayers' Hurdle is on the agenda for the popular old horse. 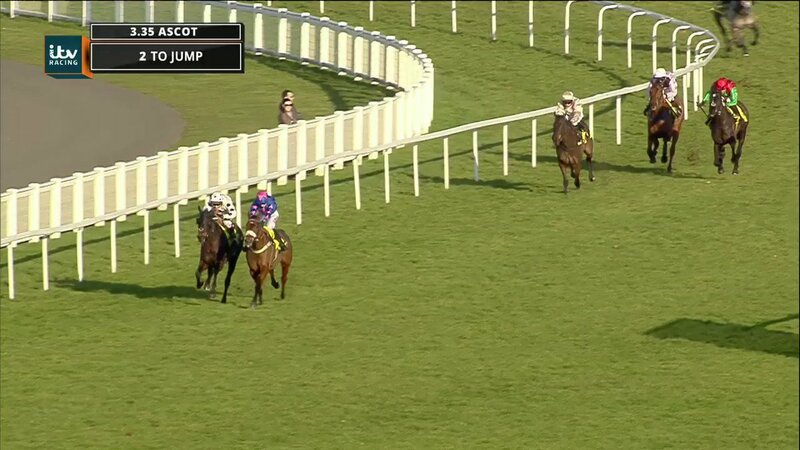 Aux Ptits Soins stayed on for 2nd having jumped terribly but he remains a talent and it was a nice 1-2 for team Ditcheat. We should also give a special mention to Wonderful Charm who won the Hunter Chase on the card and he is a major player for the Cheltenham Festival. He is a horse with a touch of class about him and he was trimmed into 3/1, from 4s, for the Foxhunters Chase next month as a result of this success. The other big news in the UK came at Wincanton on Saturday afternoon as Yanworth continued his winning ways with a workmanlike triumph in the Kingwell Hurdle. The Alan King trained horse won quite well in the end but he made it look very hard work indeed, and the debate continues to rage about his Festival target. The Champion Hurdle remains his most likely target and he is a 4/1, from 6/1, shot for the first day feature as a result of this latest success. It was of course just as busy over in Ireland over the weekend with plenty of action at Gowran Park and Navan to take in. The star attraction at Gowran on Saturday was former Champion Hurdler Jezki, who started as an odds-on favourite for the Red Mills Trial Hurdle. It wasn't to be though as he was turned over by Tombstone in a cracking finish and that has put his Champion Hurdle claims on the rocks. All roads are now likely to lead to the Stayers' Hurdle for Jezki, and punters who fancy him for the step up in trip can get a best price of 10/1. As for Tombstone, he is clearly a chaser for next season and remains an exciting prospect. Elsewhere on the Gowran card, we saw plenty of success for willie Mullins and Ruby Walsh with Bachasson and Ballycasey impressing. Bachasson produced a lovely round of jumping to beat some very good horses in the 2m4f beginners chase and he remains a talented individual to follow, albeit just below top class. 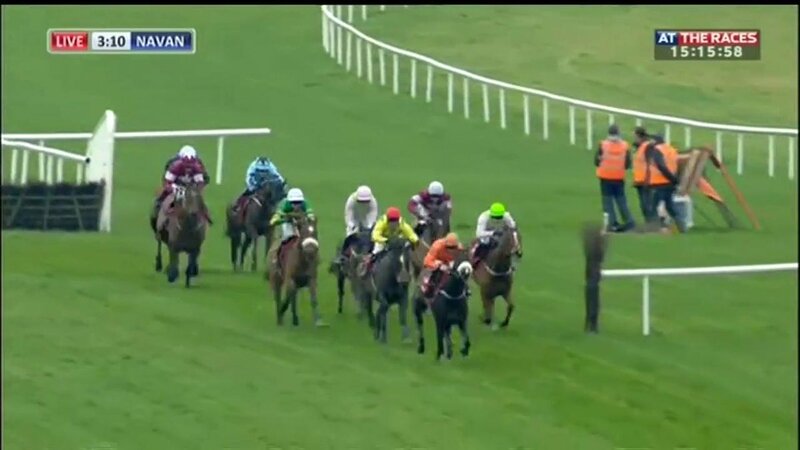 Meanwhile, Ballycasey won a soft Grade 2 Red Mills Chase, but he did it well and remains a classy chaser. He is unlikely to go to Cheltenham this season but he will be picking up plenty more prize money for connections. We should also mention the well bred Dandy Mag who won the maiden hurdle on Saturday at Gowran Park for Willie Mullins and Ruby Walsh. A half-brother to Vroum Vroum Mag, this was an impressive start to his career and although he has plenty more to prove, it was a pleasing start. The action in Ireland moved to Navan on Sunday and there was plenty to take in. The Boyne Hurdle was the highlight and we saw the hugely exciting Sutton Place continue his upward curve by winning the Boyne Hurdle in fine style. It was his 4th win on the spin for the young horse and he is another one who could swerve Cheltenham this season, with future over fences on his agenda. Elsewhere at Navan, we saw a bizarre renewal of the Ten Up Novice Chase with Acapella Bourgeois hacking up in the 3m Grade 2. He was given a soft lead out front and with the rest of the field unable to close, the Sandra Hughes trained animal as an easy winner. If you're taking this form on face value, then he is a serious RSA Chase player at 12/1, from 33s, with Paddy Power but this had the feel of a very messy contest.